The Sun Lounge has direct access to the Promenade and overlooks the Irish Sea, and in the evenings is used by many people for either watching their favourite television programmes, enjoying a quiet drink from the bar, or meeting old and new friends they have met at the Howard. It is the perfect place to unwind after spending the day shopping or enjoying the many attractions blackpool has to offer. 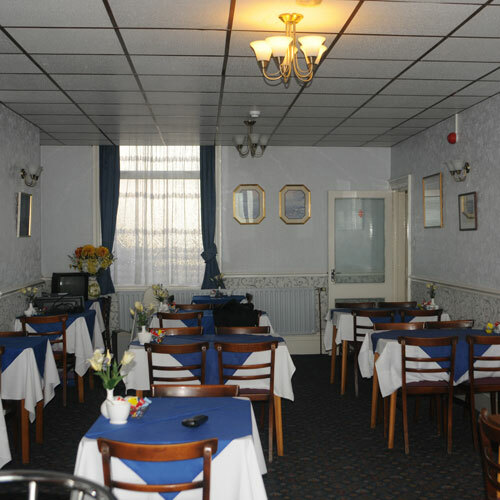 Our bar In the dining room, separate tables are provided and meals are served at set times of 9:00 am breakfast, and 5:00 pm dinner. In order to give our customers a choice of meal we operate a pre-ordering system, i.e. orders for your dinner are taken after breakfast and vice-versa. This enables us to provide good fresh food prepared and cooked to a high standard. 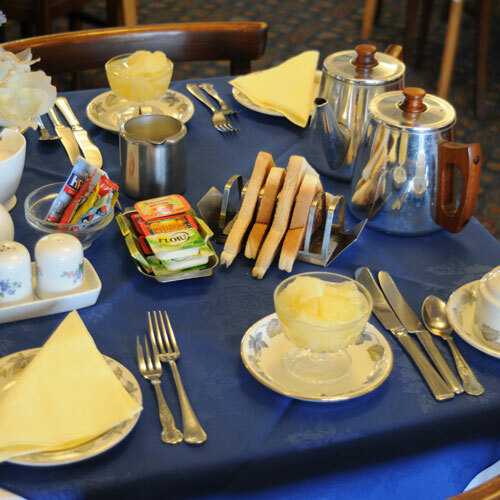 For breakfast we offer a rnage of cereals, fruit juices, fruit, a full cooked breakfast, toast and tea or coffee. The bar is open from around 4:30 pm each day for drinks to be enjoyed at the evening meal, and usually closes at 11:00 pm. 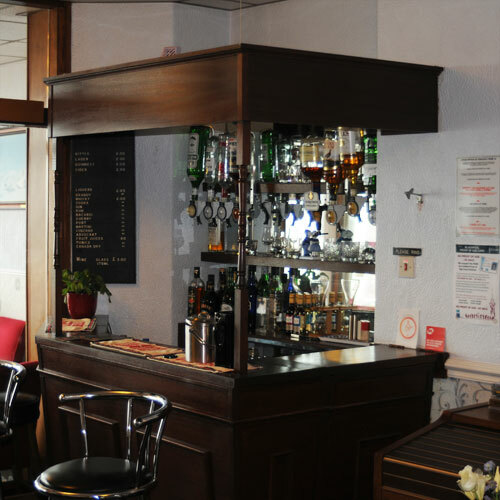 The bar is well stocked with all the usual spirits, popular bottled beers and soft drinks. Drinks from the bar may be taken into our sun lounge whilst you so that you can relax and watch the world go by. Unlike many Blackpool hotels we offer free car parking for our guests, a considerable saving given that car parking in Blackpool can cost upto £10 a night. At the front of the hotel we have 10 car parking spaces, and although we cannot gaurantee you a parking space we can usually accomodate your vehicle. All vehicles are left at your own risk, however, in the 21 years we have run the hotel we have neer had a problem with any of the cars parked with us. If you have any questions about the car park please contact us.